And...if the Republicans bring about a marked improvement in America’s situation, we have hope, as well, that Hillary, or whoever runs in the presidential campaign as the Democratic contender, can be defeated at the polls. It falls to each of you, my friends, to remain vigilant: to watch how matters proceed and to remind the Republicans of why they were elected and what they are being called upon to do. A shame that this delight at good news has been so deeply marred by goings-on here. First, with regard to the Temple Mount. I had written yesterday that we are engaged in a war, and that is what we saw today. Israeli intelligence picked up information that young Muslims had turned their “beloved” mosque, Al Aksa, into a building of war. Having stored weaponry – rocks, fire crackers, fire bombs – inside the structure, they remained overnight, in order to be ready for attack on Israeli police in the morning. They had even set up barricades at the doors of the mosque in an attempt to prevent the police from shutting them in. Sure enough, when the Mount opened this morning, masked terrorists attacked police with fireworks, rocks and iron bars at the gate to the Mount where they entered. Jews were told by the police that they could not come up until the situation was taken care of. But, with police fortitude it was taken care of; some police officers were injured in the course of handling the situation. The attacking Muslims were driven back into the mosque, barricades were removed, and they were locked in. Jews were then told they could come up. Once again, it pleases me that police handled the riot in a way that made it possible for Jews to be on the Mount. The physical battle ended there (for now), but the diplomatic battle continues as Arab leadership attempts to make the trouble the fault of the Israelis. There were threats of going to the Security Council (the ultimate panacea for the PA) with complaints that Israel (Israel!) is trying to escalate the situation on the Mount and “isolate” the Al Aksa mosque. King Abdullah is playing it to the hilt, saying that he is working to prevent “unilateral” actions by Israel; Jordan is recalling its ambassador to Israel. When the police drove the rioters into the mosque, some of the officers stepped in, going a few meters at most (which enabled them and to see for themselves the stockpiled weapons). Now much is being made of the outrage of Israeli police violating Muslim holy space. You can see how sacred this space is to them. We have had a repeat terrorist attack involving a vehicle riding into passengers at a Light Rail station. This station is located in the Shimon HaZadik neighborhood, at the corner of Bar Lev and Shimon HaZadik streets, which is next to the Arab area of Sheikh Jarrah and not far from border police headquarters. Even now I’m getting conflicting reports on how many were injured – somewhere between 10 and 14, some seriously, one critically. Some police officers were hit. 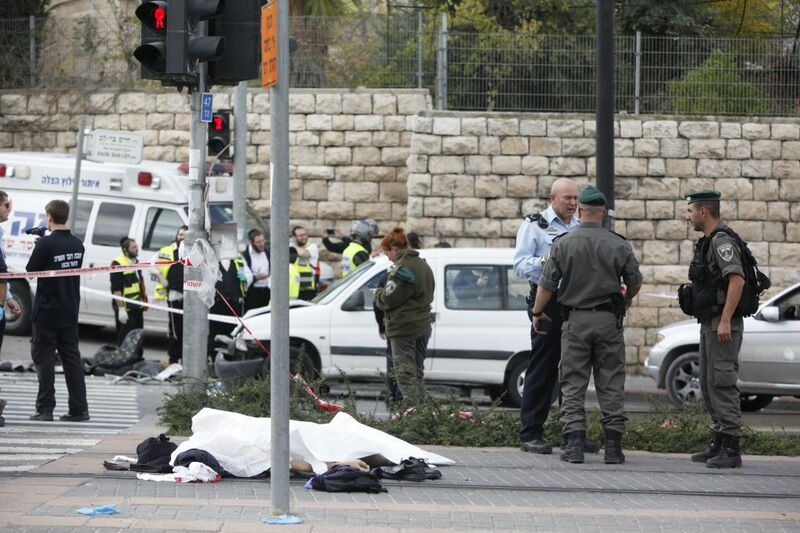 Israeli security personnel at the site where an Arab man from the East Jerusalem drove his car into a crowd of people waiting at a light rail station in Jerusalem, November 05, 2014. 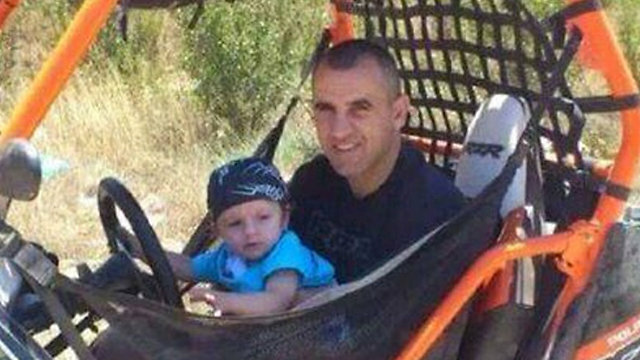 One person has died: a Border Police officer, Jedan Assad, 38, from Beit Jann, a Druze village. He leaves behind a three year old son, and a wife who is five months pregnant. Assad’s father said he loved Jerusalem and loved his work. The attacker, Ibrahim al-Akari of the neighborhood of Shuafat, didn’t just run his vehicle into one group; he hit some people and then kept going to target others. Then he got out of his van and began attacking people with an iron bar. Security forces shot him dead. Internal Security Minister Yitzhak Aharonovitch called for the demolition of the terrorist’s home. This business of it being a “natural response to the occupation” is a refrain I’ve heard before. It seems to be their new tack, an attempt to justify before the world what cannot be justified in any terms. 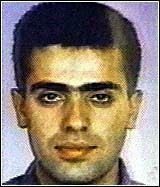 The terrorist has been identified as a Hamas operative. 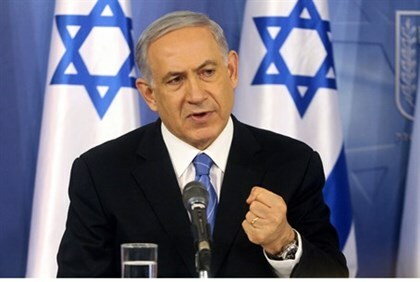 His brother, according to reports also Hamas-connected, had been in prison for a terrorist conviction but was in the prisoner exchange for Shalit. There has got to be some way to protect Light Rail stations that are in or near Arab neighborhoods. It is being worked on: the first concrete barriers are scheduled to go up around the French Hill station tonight. I have no doubt either. We are very strong and very committed. The prime minister, along with other members of the government, today pointed a finger directly at Abbas, whose extreme incitement over the last several days has set the climate for violence. This too I agree with – Abbas must be held accountable. Clearly, Abbas is aware of all of this, and doing everything in his power to aid and abet the terrorist climate. This makes him even more culpable, as he is in bed with Hamas. It also means that I am not exaggerating when I call this a war. It is the war for Jerusalem. Which must be won. I will leave off writing here, until the next posting. Technorati Tag: Israel and Temple Mount and Hamas and Jerusalem.